Researchers are searching for ways to prevent the coronavirus from attaching to DPP-4 receptors, blocking it from invading and replicating within host cells. 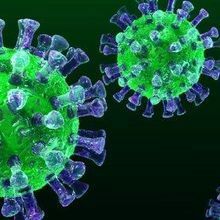 Researchers report evidence of past Middle East respiratory syndrome coronavirus infection in two people in the country. 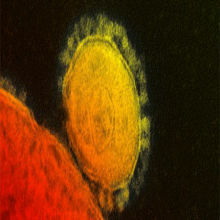 Questions about the transmission and pathogenesis of Middle East respiratory syndrome remain as the coronavirus spreads. 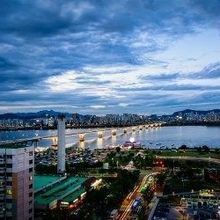 An outbreak of Middle East respiratory syndrome in South Korea has now sickened more than 150, killing 19. 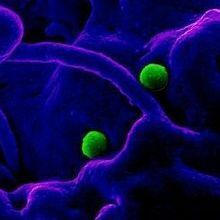 CDC: MERS Has Reached U.S.
Health officials report that a patient in an Indiana hospital has tested positive for the Middle East respiratory syndrome coronavirus. 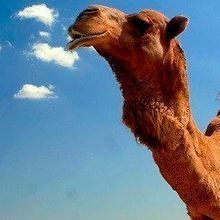 Study suggests many camels in Saudi Arabia are infected with the Middle East Respiratory Syndrome coronavirus at some point in their lives. 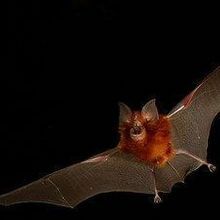 Whole-genome sequences for two novel coronaviruses from Chinese horseshoe bats are the most closely related to the severe acute respiratory syndrome coronavirus to date. 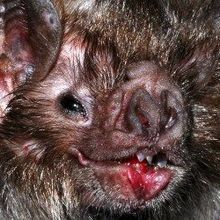 Genomic analysis suggests that the Middle East respiratory syndrome coronavirus circulated among bats for a while before jumping to humans. 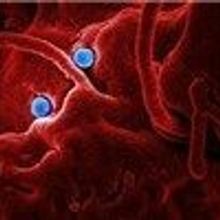 Bats a Source of MERS? 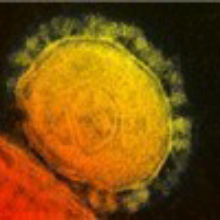 A fragment of viral RNA isolated from an Egyptian tomb bat matches viral RNA isolated from the first human victim of the novel coronavirus.